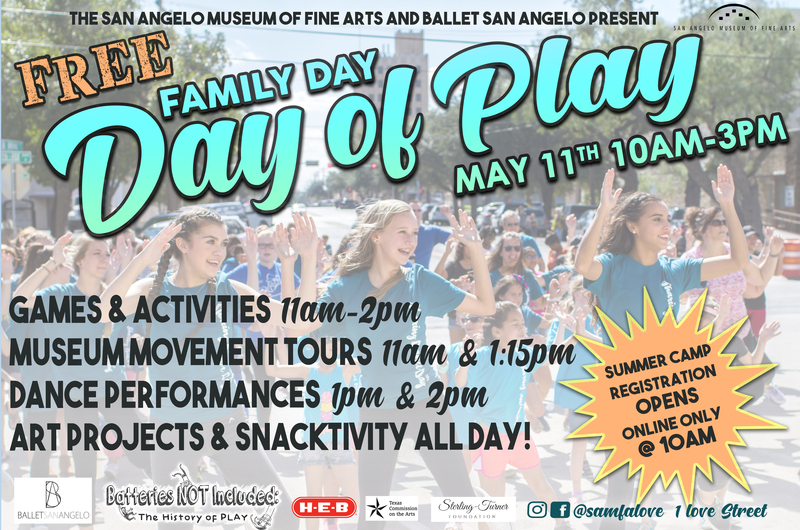 The San Angelo Museum of Fine Arts’ Family Day program is hosted monthly and free of charge to community members. Family Day provides a participatory exploration of global cultures and themes based on SAMFA’s collections. This cultural and thematic exploration is achieved by utilizing the entire museum facilities to provide extensive displays of artifacts, a variety of food samples (including visitor participation in cooking), live music and/or cultural performances and four or more visual art hands-on projects. 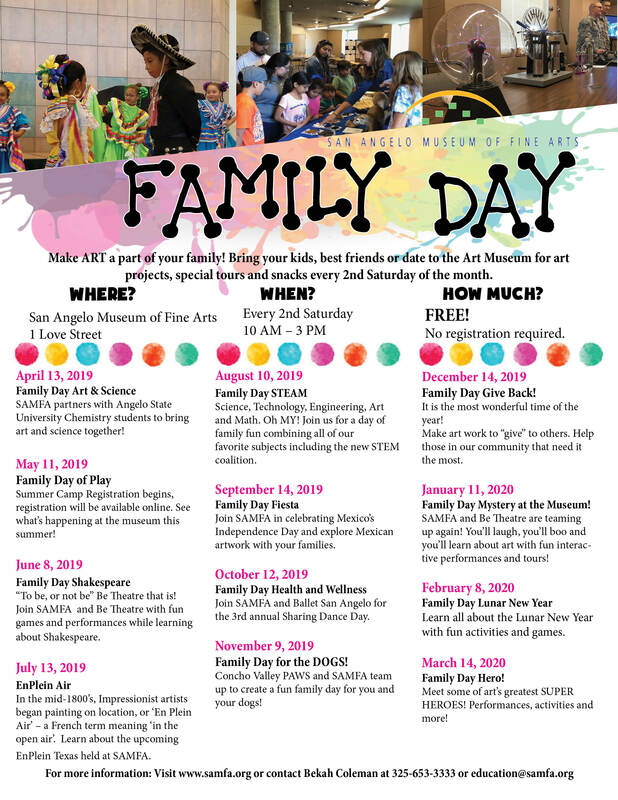 In addition, there is no admission fee to the Museum’s current exhibits during Family Day. Family Day For The DOGS!